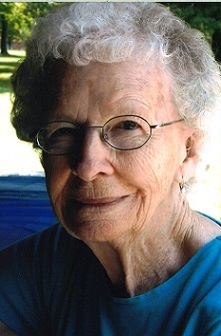 Cora Ellen Whitehead, 97, rural Mt. Pleasant and formerly of Washington passed away on Tuesday, March 19, 2019, at her home. Cora was born on March 25, 1921 at Dutch Creek Township, in Washington County, the daughter of Arthur William & Edith Marietta (Snyder) Lambert. She was united in marriage to Charles John Borsdorf, he preceded her in death in 1943. She later married Ernest Carl Arnold, he preceded her in death in 1950. She later married Don Whitehead who has preceded her in death. She worked as a waitress in and around Washington most of her life. As well at Walmart in Washington as a door greeter and at the snack bar. She enjoyed making crafts and attending craft shows. Cora is survived by her children, John A. Borsdorf of Wellman and Darlene (Jim) Helbling of Mt. Pleasant, three grandchildren, Suzie Bordsdorf, Shawn Acord and Cory McNeely both of Des Moines and four great grandchildren, Jacob Acord of Coralville, Abby, Max and Mason McNeely of North Liberty. She was preceded in death by her parents, husbands, two brothers, Ernest W. Lambert and Arthur W. Lambert Jr.
Funeral Services will be held on Saturday, March 23, 2019, at 10:30 a.m. at the Murphy Funeral Home in Mt. Pleasant with Rev. Earl Swigart officiating. The family will receive friends beginning at 10 a.m. until the service time at the funeral home on Saturday. Burial will be in the Keota Cemetery. A memorial has been established in her memory.